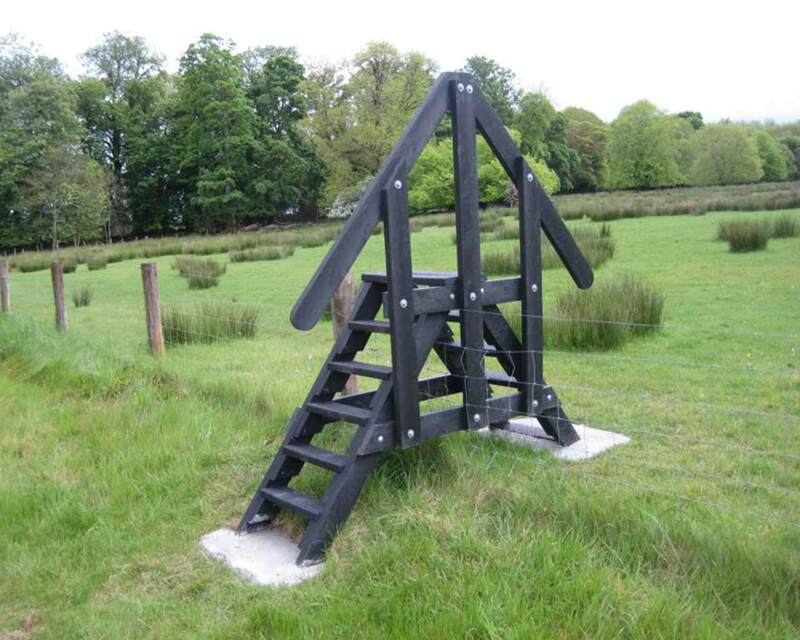 Our stiles are made from 100% maintenance free recycled plastic boards. 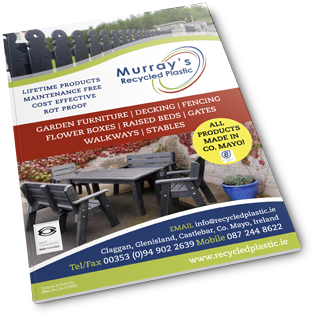 They are an excellent maintenance free solution as they sustainable, durable and will last for decades. 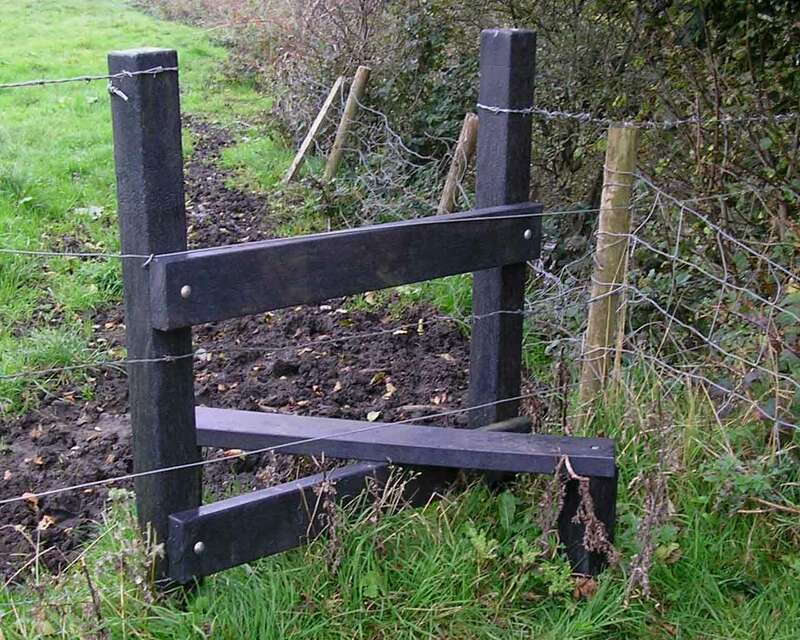 Murray’s Recycled Plastic stiles are ideal for creating crossings in greenways, wetlands and way-marked trails. Decking board 30 x 150 cut to the required length. 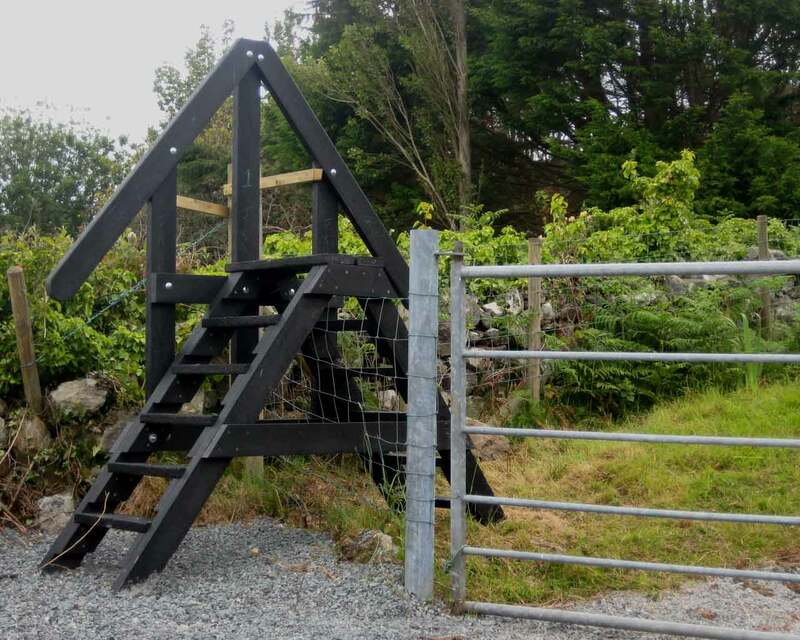 The client must provide foundations designed in accordance with the conditions on site. Typically the foundations will consist of a reinforced concrete pad at each end of the bridge. Custom made to the required size. 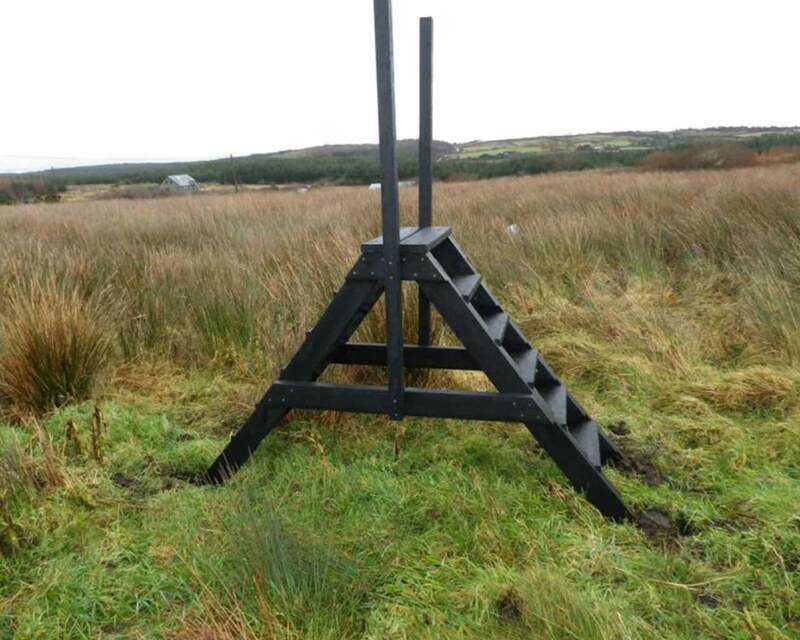 Available sizes include 4, 5 and 6 step ladder stile and regular stile.